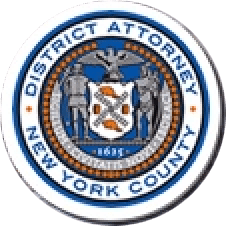 Manhattan District Attorney Cyrus R. Vance, Jr., today announced the sentencing of VITO BADAMO, 54, to 3 ½-to-7 years in state prison for crimes committed as a member of a crew of the Bonanno crime family, one of five longtime organized crime families that comprise a nationwide criminal network variously known as “La Cosa Nostra,” the “Mafia,” and the “Mob.” On March 24, 2017, BADAMO pleaded guilty in New York State Supreme Court to Attempted Enterprise Corruption. Co-defendants ANTHONY SANTORO, DOMINICK SIANO, NICHOLAS BERNHARD, SCOTT O’NEILL, ANTHONY URBAN, and RICHARD SINDE previously pleaded guilty for their roles in the crew’s illegal activities and were sentenced. To date, approximately $392,000 of forfeiture has been ordered. As admitted in the defendants’ guilty pleas, between approximately March 2010 and June 2013, the defendants served as members of a crew of the Bonanno organized crime family operating in the New York area and elsewhere. The common purpose of the Bonanno crew was to make money through illegal activities, including extortion, loansharking, gambling, drug dealing, and possession of firearms for use or sale. In each scheme, the proceeds flowed upwards to higher levels of the organization. BADAMO’s role in the crew involved making and collecting usurious loans, with interest rates that exceeded 25 percent per year. BADAMO, SANTORO, SIANO, BERNHARD, O’NEILL and SINDE participated in and shared in the proceeds of the enterprise’s illegal gambling operation. BADAMO, SANTORO, SIANO, SINDE, BERNHARD, and URBAN also admitted to illegally obtaining and selling prescription medications Viagra and Cialis; URBAN also profited from the sale of oxycodone. Additionally, SANTORO admitted as a part of his guilty plea to possessing seven firearms; URBAN admitted to selling one firearm to SANTORO. BERNHARD was president of Local 917, a local union affiliated with the International Brotherhood of Teamsters, and subsequently used his leadership position to enrich himself and the Bonanno crew. Additionally, he deployed O’NEILL, the union’s assistant shop steward, to further the enterprise’s loansharking and gambling activities, at times through extortion. BERNHARD and O’NEILL were also convicted of Perjury in the First Degree for giving intentionally false testimony under oath before an Independent Review Board which was investigating corruption and other criminality in the union. The defendants sought to evade detection by law enforcement through surreptitious conduct and coded communication in order to conceal their identities and illegal activities. On March 10, 2017, co-defendant ERNEST AIELLO pleaded guilty to Promoting Gambling in the First Degree, and admitted in his guilty plea that he profited from illegal gambling conducted, in part, with others in connection with a criminal enterprise. AIELLO is expected to be sentenced on May 30, 2017. Assistant District Attorneys Gary J. Galperin, Senior Investigative Counsel to the Rackets Bureau, and David Stuart handled the prosecution of the case, under the supervision of Jodie Kane, Chief of the Rackets Bureau, and Executive Assistant District Attorney Michael Sachs, Chief of the Investigation Division. Assistant District Attorney Brian Foley, Senior Investigative Counsel; Assistant District Attorney Deborah Hickey, Senior Supervising Attorney; and former Assistant District Attorneys Eric Seidel, Counsel to the Investigation Division, and Noah D. Genel, Senior Investigative Counsel, assisted with the investigation. Investigative Analyst Conor Prior provided primary assistance with the case. Former Trial Preparation Assistants Stephanie Alvarez and Dan Taylor, former Senior Rackets Investigator Joseph Chimienti, Rackets Investigator Bing Fonseca-Sabune, Senior Computer Forensic Analyst Jessica Ho, Principal Financial Investigator William Tamparo, and Electronic Surveillance Investigator Sean Lucas also assisted with the case. Assistant District Attorney Madeleine Guilmain is handling the asset forfeiture aspect of the case, under the supervision of Assistant District Attorney Lynn Goodman, Chief of the Asset Forfeiture Unit. District Attorney Vance thanked the NYPD’s Criminal Enterprise Division (formerly known as the Organized Crime Investigation Division), specifically Detectives Angelo Barone, David Roman, Joshua Vanderpool, Shawn Ricker, Pierluca Caria, Gilberto Vazquez, Lynn McCarthy, and Nelson Pinela; retired Detectives Sal Leotta, Andrew Varga, and John McGuire; the U.S. Attorney’s Offices for the Southern and Eastern Districts of New York, specifically Assistant U.S. Attorneys Rebecca Mermelstein and Nicole Argentieri; the FBI’s New York Field Office; and Special Investigator Don Schwally of the Chief Investigator’s Office, Independent Review Board.